The importance of social media in marketing has skyrocketed in the past few years. What started off as a medium to connect people has evolved into a medium to connect brands with their target audiences. A brand’s presence on social media allows them to interact with their audience and build a loyal consumer base. Social media can not only connect you with brands but also helps you find reviews about those brands. A study by BrightLocal found that 85% of people trust online reviews just as much as they trust personal recommendations. Social media also gives you the power to reach out to more people than you can with traditional marketing. With over 2.3 billion active monthly users, Facebook is the largest social media network. Among such a huge group of people, you can easily find people who might like your brand and products. However, connecting with them is a different story altogether. You need to be proactive and figure out their needs and preferences in order to create content for social media that resonates with your audience. This requires a lot of effort. One of the best ways to engage and connect with your target audiences is using good content. If you can create content for social media that is liked by your audience, they are more likely to share it. This can help you increase your brand’s visibility and, in turn, reach a larger audience. There are various ways to figure out what your customers like. Based on that, you can create content for social media that they will like. Let’s take a look at some great ways to create content for social media that will resonate with your audience. People tend to believe and appreciate positive statistics and news. If you can come up with some statistics that portray your brand in a positive light, use them on social media. When people see a positive statistic, they will trust your brand more. Some users who like such positive stats and stories may even share them. In 2018, IBM introduced its supercomputer, Summit, which was the world’s fastest supercomputer at the time. They didn’t pass up a chance to share this news on social media - not forgetting to mention that it’s capable of doing 200K trillion calculations per second. Such powerful statistics can surely connect with audiences well and is a brilliant way to create social media content that works. The best way to create social media content that works is to prompt people to react. And statistics and news are perfect for that as people like to share both. You need to figure out what sort of content can trigger emotions in your audience. Once you’ve figured that out, you will know how to create content for social media successfully. The easiest way to create content for social media is by repurposing user-generated content. User-generated content is great for two reasons - it engages your audience and it creates greater brand awareness. Such content may include guest posts, images, videos, online reviews, or even testimonials. When you share such posts, your audience can connect really well with them. This is because your audience believes that such content has been created by people just like them. So they are more likely to engage with and share your content with others. According to a BrightLocal study, positive reviews make 73% of customers trust a business better. This is where user-generated reviews can help a lot. Thankfully for brands, customers are more than happy to write reviews. The same survey found that when 74% of customers were asked for feedback, 68% wrote reviews online. Apart from requesting that your customers write reviews, you can also ask them for their testimonials. Testimonials can serve as reviews too, and you can use them to your advantage. You could also get your users to send in images and videos in which they are using your product. You can then share those on social media and on your product pages. Daniel Wellington, for example, gives their followers a chance to get featured on their Instagram page. All they need to do is post their pictures of their Daniel Wellington watches and tag them using the branded hashtag. Such user-generated content is great at engaging and connecting with their audiences. Thus, this is an excellent way to create social media content that your audience can connect with. When we talk about ways to create content for social media, we can’t overlook influencer content. Leveraging influencers is one of the best ways to create social media content that is authentic and engaging. Influencers are social media celebrities who have a loyal fan-following on social media. Brands partner with such influencers for creating content for social media. Even though they may be social media celebrities, not all of them may have a million followers. Many influencers have fewer but more engaged fans. Such influencers are called micro-influencers. There are various ways to partner with influencers to leverage influencer marketing. You could ask the influencers to promote your brand using content created by them. The involvement of an influencer can give your brand a human touch. An influencer’s endorsement builds trust for your brand in the minds of the influencer’s followers. Creating content for social media with the help of an influencer can give you access to the influencer’s audience too. This, in turn, can increase your brand’s reach on social media platforms. That’s not all. Influencer marketing has many more advantages. You can ask your influencers to try your products and share their reviews on social media. Such reviews or testimonials can also help you get the valuable attention of your audience. Your audience is more likely to relate to them. Influencer content is trusted by their audience and hence leveraging influencers to create content for social media is a brilliant strategy. However, before you can start utilizing the real power of influencer marketing, you need to find influencers. There are thousands of influencers on social media, but you need to zero in on a few. These influencers should ideally be related to your brand or product niche. When an influencer is in the same niche as yours, their audience will find your messages more relevant. With such influencers, there is a greater probability of a higher ROI. Every social media platform has its own set of influencers. This means that an influencer who is great on Facebook may not be great on Instagram. In this case, finding a good influencer can be a tedious task. There is also seemingly no way in which you can manually track the conversions through influencer marketing. Without a metric to judge an influencer’s performance, you cannot calculate your ROI. This makes it difficult to implement influencer marketing for creating content for social media. Thankfully, there are tools and platforms available that can help you keep a track of everything. These take care of everything so that you can concentrate on creating quality content. Grin allows you to find the finest influencers on social media who are popular in your niche. That is not all, it also helps you get in touch with them and recruit them. You can filter the influencers by category, location, and even social platforms. Grin not only helps you recruit influencers but also helps you brief influencers in bulk. You can use the platform to collaborate with influencers easily and pay their fees with ease. You have the option of paying your influencer using products, cash, or both. Also, you can track their content directly through the platform. As mentioned above, tracking the performance of your influencer marketing campaigns can be difficult. However, Grin sorts that out for you as well. You can see the feeds of all your influencers’ social profiles in a single screen. This shows their content and how it is performing. Accordingly, you can find out which content is performing well and which ones are not. This way, you will easily be able to find out when your ROI becomes positive too. Social causes connect really well with people. Everyone wants to contribute to social causes in some way or the other. Creating content for social media where your brand is doing something to help society can benefit you. There are good chances of your content being shared if it shows your brand taking a stand. People like to show their support for causes, and sharing posts related to causes is one way of showing it. Even if your brand isn’t directly taking some initiative for social welfare, you can still benefit from social causes. If you showcase your brand’s support towards a cause, it tends to connect better with the people. It also gives the audience an incentive to spread the word regarding the initiative. For example, 4Ocean posted a video that showed how they are cleaning up the oceans. They also show that you can support their campaigns by purchasing a bracelet that is made from the recycled material. This sort of social media content can evoke strong emotions in the audience which cares about the environment and the oceans. They may share the content on their social media or may even purchase the product to support the cause. Personalization of posts can help you connect with your audience more meaningfully. It involves studying your audience in depth and then tailoring your content accordingly. A study by Monetate found that 79% of companies that had exceeded their revenue goals had a well-documented personalization strategy. A study by Accenture also had some great findings. It found that 91% of consumers were more likely to purchase from brands which recognized and provided relevant recommendations. This goes on to show the power of personalization. Brands can use retargeting to target people who have visited certain pages but have not converted. You can then retarget your ads on social media to this audience. Tailored content is much more relatable to audiences and can connect well with them. For example, a fast-food brand can showcase how they help people eat good food on the move. To tailor your content, you need to study your audience thoroughly. The first step in studying your audience is the creation of consumer personas. You can create personas using demographic data like age, religion, income, gender, education level, etc. You can also research location data to understand where your audience is located. Lastly, you can find out their hobbies, interests, goals, etc. that can give you an idea about their likes or dislikes. Coca Cola’s “Share a Coke” campaign was launched in 80 countries. In this, 250 of the most popular names of people in each country were printed on Coca Cola bottles. This prompted people to go out and find bottles with their names on it. Many people who found bottles with their names, posted photos with it on social media. This got the hashtag #ShareACoke trending on social media. Which generated tremendous brand awareness for the company. This way, Coca Cola used the power of personalization to their advantage. They not only generated sales, but even increased their brand’s visibility. It was all possible by just personalizing bottles with people’s names. So, create personalized content for social media to connect with your audience and see the results for yourself. When creating content for social media, remember one golden rule. Create your posts to help your audience. Don’t create them to sell your product or build your brand’s image. If you do the former, your audience is more likely to connect with your brand. In the latter case, there are good chances that they may start disliking your brand. They key is to strike a balance between engaging content and promotional content. People don’t mind seeing posts that ask them to purchase your products or ones which promote them. However, posting such content regularly can make your audience feel that they are being spammed. This can cause an aversion, and the audience may start feeling disconnected from your brand. Instead, if you can create some really engaging content, people may start connecting more with your brand. This, in turn, could prompt them to take a look at your products and possibly even purchase them. Banana Republic came out with their limited edition collection for the Pride weekend. They even shared images of people wearing their clothing on their social media. While the post does market their products, it isn’t in-your-face. They even got people to use their hashtag and share their pride styles. Freebies are a great way to connect with your audience. Not only will you be able to get people to interact with your content, but will also see higher engagement. When people are offered freebies, they remember the brand for a long time. This can help you connect with your audience and even build a loyal consumer base. When creating content for social media, you can offer freebies every once in a while. It would be even better if you can give your product as a freebie or for trial. This can get your audience to try your products for themselves. If they like the product, you will have connected with the person and may have also found a new customer. This dual-advantage can be great when you’re looking to expand your business too. You can use the power of social media to its maximum through social validation and proof. We all have the innate desire to get approval from others for what we do. A common psychological belief is that if you do something that is considered good, you will get approval from others. The same rule applies on social media. When people see a post that has numerous likes or shares, they are more likely to like or share it. People even have the fear of missing out on liking and following good content on social media. While all this does affect your brain, brands can use it to their advantage to connect with the audience. All you need to do is show that you have a substantial fan-following on social media. You can showcase your consumer base figures in your bio on social media. When your followers see that many people are using your product, they might get a positive impression about it. It could even prompt them to connect with your brand. For example, Help Scout showcases its consumer base in their Twitter bio. This works well for them as social proof. By designing here, we don’t mean just the graphics. When creating content for social media, even writing should be designed well to look aesthetically neat and attractive. Your content should be well-organized and should be easily readable and have a good flow. Similarly, all of your images and videos should be visually appealing and should stimulate the viewer. If your content looks attractive, there are good chances that your audience may want to engage with it. If they do spend time on your content, they may even share it with their friends. If you can consistently produce high-quality content, you will start to see more consumers connecting with your brand. With all your social media posts, you should include attractive captions. These captions should be related to the content of the post itself. If you’re able to come up with catchy captions, there are good chances of them grabbing people’s attention. If they can relate well with your captions, they may even connect with your brand. With attractive images, videos, and written content, your social media profile will look attractive too. An aesthetically pleasing brand profile can get many people to connect to the brand itself. Aesthetics must be kept in mind when creating content for social media. Old Navy, for example, leverages user-generated content on their social media profiles at times. Here’s an example of a well-designed post they’ve published on Instagram. The image looks great with striking colors, while the caption touches the hearts of people reading it. Whenever there is any controversy, there is an air of intrigue and mystery surrounding it. This spikes the interest of people and makes them want to discuss the controversy. You can use this to your advantage when creating content for social media. While you should be careful while picking controversial topics, you definitely can benefit from them. It is best to stay away from highly controversial topics as they can wreak havoc sometimes. However, moderately controversial topics can help you grab your audience’s attention. These topics don’t get temperatures flaring, but may spark enough anger to promote the content. Sometimes the content can even go viral due to this very reason. For example, the Yanny or Laurel audio recording became a huge topic of discussion this year. 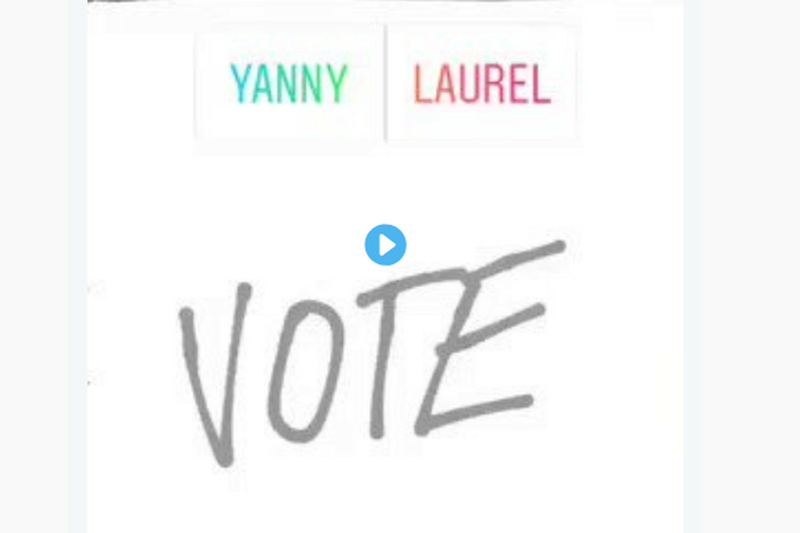 An audio clip was released on Twitter where some people could hear a man say Yanny while others heard Laurel. This became a hugely-debated topic and there was a poll on Twitter about it. More than 500,000 people took part in this poll to share what they could hear in the audio. Twitter was not the only place where this controversy was popular. It traveled to other social media platforms as well. Soon enough, people were even discussing it among themselves and arguing over who was right. If you can create such viral content, you will be able to get a huge audience connecting with your brand. Interacting with your audience is a great way of connecting with them. The interactions give your content a more personal touch. When you reply to their comments quickly, they are more likely to feel connected to your brand. They may even want to learn more about you if they like your responses. People come to social media to interact with their favorite people and brands. When your brand is responsive, the audience will start connecting a lot more to you. Keep in mind, however, that simply replying with standard responses won’t do you much good. You should try to tailor your replies to each person you are interacting with. This can give people a good impression as well. Of course, you don’t need to reply to every single comment, but a simple “thank you” also helps. Another good way to create content for social media that engages your audience is to post “how to” videos. This type of content is very useful and if you select the right topics that are relevant for your audience then you’ve got a winning social media content strategy. To create “how to” content for social media, you need to first understand your audience. Identify the topics that they may want to watch “how to” videos about. For instance, if you have a beauty products brand, then your audience would be the people interested in that. So, “how to” makeup and skincare tutorial videos would be ideal for your audience. In the example below, beauty brand, Anastasia Beverly Hills, posted a makeup tutorial video in which the model used their palette to create a look. The company often posts such videos on their Instagram page and each video gets hundreds of thousands of likes. This clearly shows how engaging such content can be if you target the right audience. If you’re looking for a tried and tested way to create content for social media that drives audience engagement, try running an audience poll. Instagram offers this feature where you can create polls and post them as your Instagram Story. This is a sure-shot way to engage your audience. Polls are fun and take just a minute of people’s time. And the fact that people want to know what the majority voted for, encourages them to participate and find out. This is an easy and simple way to create content for social media that will get a high engagement rate. And, the curiosity to find out the results will get you many responses as well. Check out this Instagram poll for example. This poll does not just rely on audience votes but also encourages them to comment to further drive the engagement. Social media gives brands the power to connect with their audiences. Hence, learning how to create content for social media that will engage your audience is paramount. These are 13 of the best ways to create content for social media that will help you connect with your audience. Use these to create content for social media that actually works and see your social media presence grow.